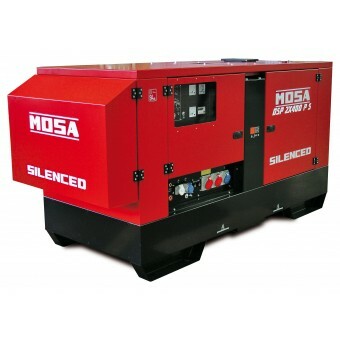 Mosa 6.5kva Kohler Three Phase Diesel DC Arc Welder Generator, 2 year warranty. Welder generator workstations are popular on remote commerical worksites, on rural properties, for vehicle and ­fleet maintenance, and general trade tasks. 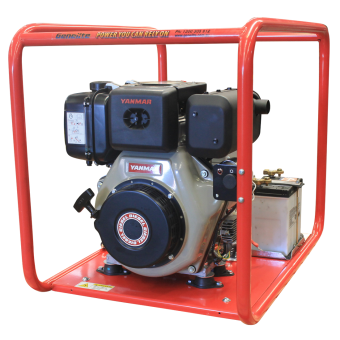 Our diesel welder generator models come backed with comprehensive national service & warranty support and are powered by market leading diesel engines including Yamnar, Kohler and Subaru. With power capacity up to 7kVA and welding amp output up to 180 amps, this quality range of diesel welder generator workstations has your needs covered. 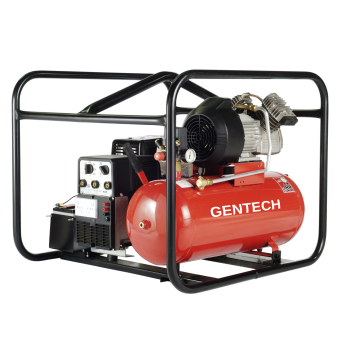 Welder generators offer exceptional value for money, and when they are fuelled by diesel, you really are getting the best bang for your buck. The idea behind a welder generator is to get power for welding without relying on mains electricity. 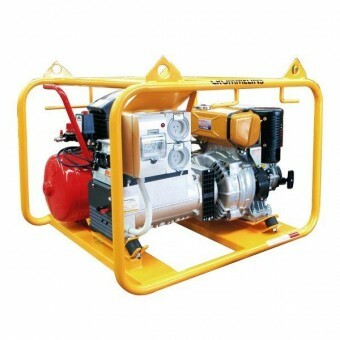 You simply fill up the fuel tank and the generator will power your welding equipment. 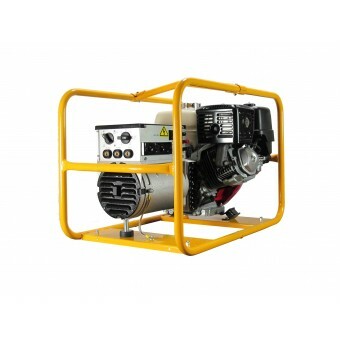 In addition, a welder generator can also be used as a stand-alone generator, saving you the space, money and hassle of running two separate machines. It’s no wonder these generators have become essential equipment for construction sites, farms, the hire industry, and more. The difference with a diesel welder generator is that it brings the added advantage of exceptional fuel efficiency and low maintenance. 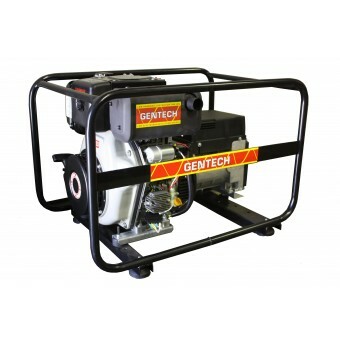 These generators are renowned for lasting longer than their petrol equivalents, as there is typically less wear and tear on the components. 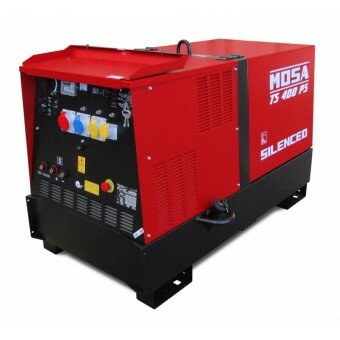 Diesel welder generators usually run at lower RPM, producing more torque at lower speeds. This ultimately increases the engine life and reduces noise. In addition, diesel is less volatile than petrol so a diesel unit is a safer choice for the jobsite. The best part is you can choose from 2-in-1, 3-in-1 and even 4-in-1 workstations. 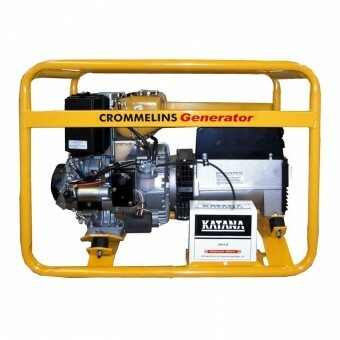 Manufacturers like Crommelins and Advanced Power have built machines that incorporate a welder, generator, battery charger and compressor in one unit. Everything you could need for a demanding worksite in a single, powerful yet compact package. Plus, when you choose an all-in-one workstation from a leading manufacturer, you don’t sacrifice performance on any of the functions. You can enjoy the same robust, heavy-duty components and exceptional reliability you would expect from other quality generators. If you’re after added value, look for a unit with WorkCover extras and other features, including earth leakage protection (ELP) and weatherproof outlets. Some generators allow you to add these as an optional extras.